Harrisonburg Tourism and Visitor Services received a grant from the Virginia Tourism Corporation (VTC) “50 Years of Love” grant fund.  “50 Years of Love” is part of VTC’s efforts to celebrate the 50th anniversity of the Virginia is for Lovers tourism slogan, which was created in 1969 by Richmond-based advertising agency Martin & Woltz. Fifty years after its creation, Virignia is for Lovers continues to be one of the most recognizable and iconic tourism slogans of all time. Harrisonburg Tourism has partnered with several businesses in the area to showcase 50 Years of LOVE in the Friendly City! We want to show how “Travel ignites love and friendships.” We are hoping to bring families closer, unite friends, create lasting memories and lead new travelers to the city, region and the commonwealth. Our 50-day campaign kicks off on April 20th and here is what we are offering. Bluestone Vineyard is creating a special Virginia blend of Petit Mansang and Viognier (can’t get two more Virginia grapes then that). In fact they just got a Bronze medal for a blend of those wines in the San Francisco International Competition last month. Crosskeys Vineyard will be bottling two of their wines; Joy white and Fiore; to launch on April 20th with a 50 years of Love unique label. Rocktown Bites Food Tours will be offering downtown food tours during our 50-day campaign as well as Saturday tours throughout the year. Look for the 50 years of Love logo on their site. During the 50 Years of Love campaign, Montpelier Restaurant will celebrate with limited-time menus! Food lovers indulge in their Date Night 3-course menu for two, including a one-of-a-kind dessert. At the bar, craft beer and wine lovers will delight in the best of the local beer and wine scene without event getting in the car. There’s something for everyone to LOVE. Hotel Madison will be celebrating 50 Years of Love with limited-time savings. 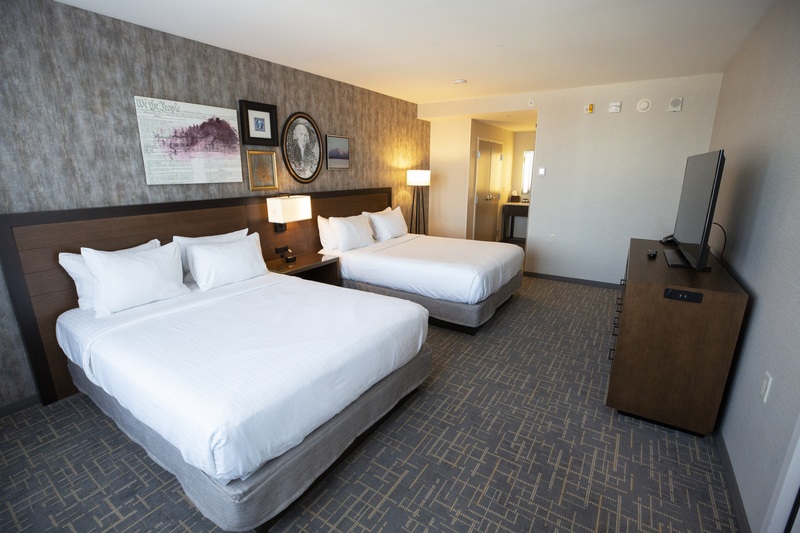 Book your spring or summer getaway and enjoy $50 off your stay of two or more nights. Guest will also receive access to curated local itineraries for wine, beer and food lovers to enjoy during your stay. 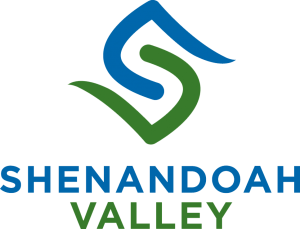 First Fridays Downtown – Hotel Madison and the Shenandoah Valley Conference Center will have a photo opportunity in the lobby for First Friday in May. A large mural will be produced saying “50 Years of Love” and will be displayed and hung on the portion of wall where First Fridays Downtown art is displayed. 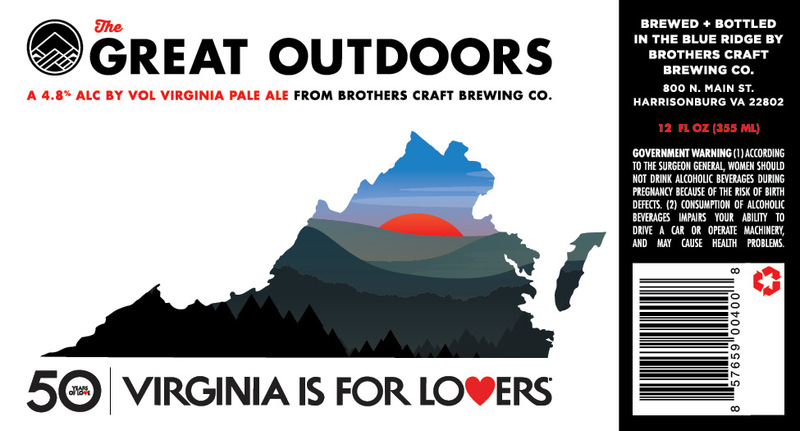 Travelers will be invited to have their photo taken and share on social media using the hashtags of #sharewhatyoulove, #LoveVA and #hburgrocks. 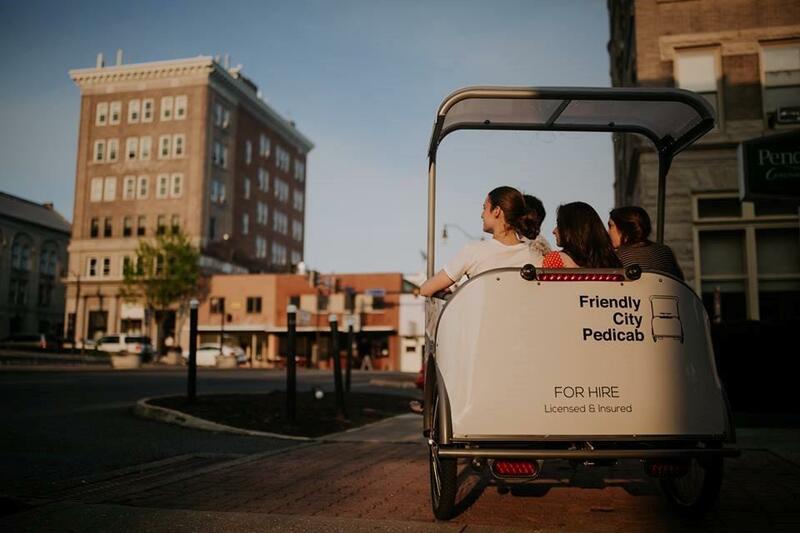 Friendly City PediCab will sport the 50th logo on both of their downtown pedicabs through 2019. 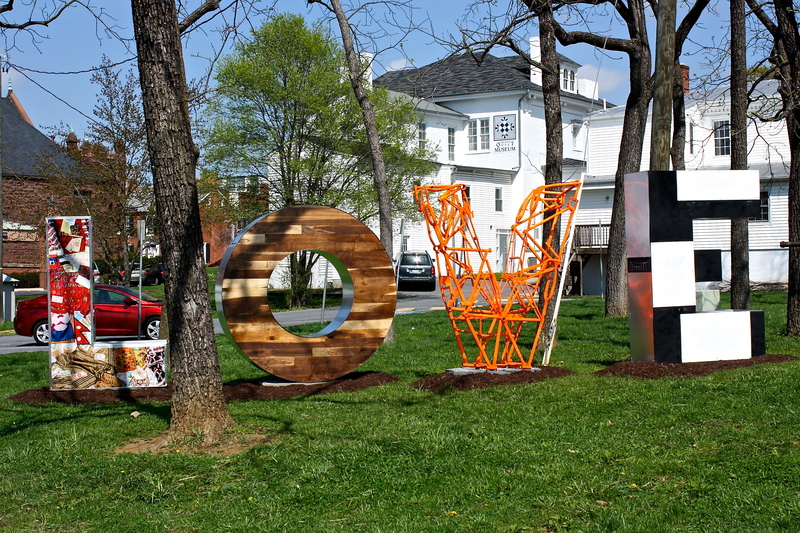 Visitor Center at Valley Mall to host the LOVEworks sculpture for photo ops during our 50-day campaign. Make sure to use the hashtags #sharewhatyoulove, #hburgrocks, and #LoveVA.